We’re thrilled that you’re speaking at EMERGE, and we’re sure your friends and colleagues will be too. Let your network know about your upcoming speaking engagement by promoting the event on social media with image and copy resources we will provide you. We have EMERGE graphics, customized portrait graphics, and example posts available to be featured on your website or social media channels. Email Noah at ndavies@cfsinnovation.org for your customized graphic. 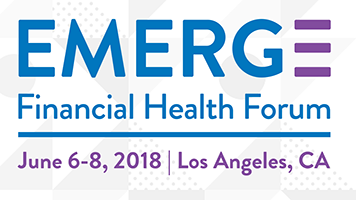 I’ll be in Los Angeles with @CFSInnovation this June 6-8 speaking at #EMERGEForum18. Attend and join the growing number of organizations redesigning their businesses around customer well-being. I’ll be speaking at #EMERGEForum18 this June in Los Angeles. Join me and @CFSInnovation to explore what happens when you put financial health at the center of your strategy. I’m speaking at #EMERGEForum in June! 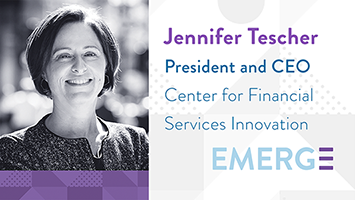 Join me, @CFSInnovation, and other leaders exploring how together we can strengthen the financial lives of millions of Americans. Thanks for helping us promote EMERGE. Please reach out to Noah at ndavies@cfsinnovation.org with any questions or social media requests.